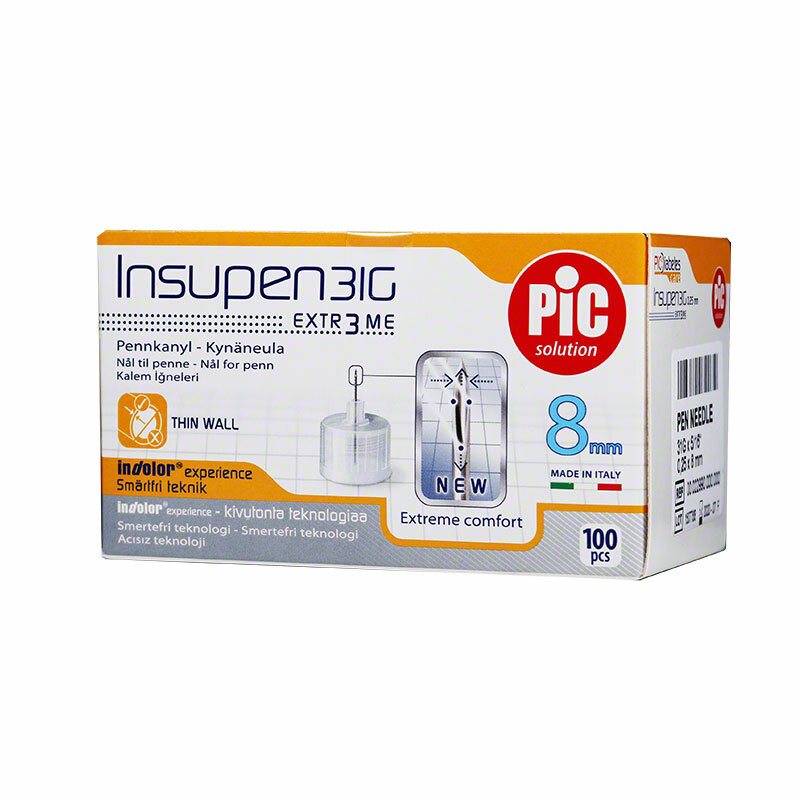 The Insupen Pen Needles 31g 8mm 100ct has a new needle geometry with ultra-thin sharpening, and special lubricant treatment guarantees a less painful injection. Compatible with all insulin pens that comply with UNI EN ISO 11608-2:2001 type A standards. Contains 100 Insupen 31 Gauge, 8mm Pen Needles. Directions: Sterile if the needle seal is intact. After each injection, detach the needle from pen and discard. Refer to laws of the country in question. Store in cool, dry place away from chemical substances.